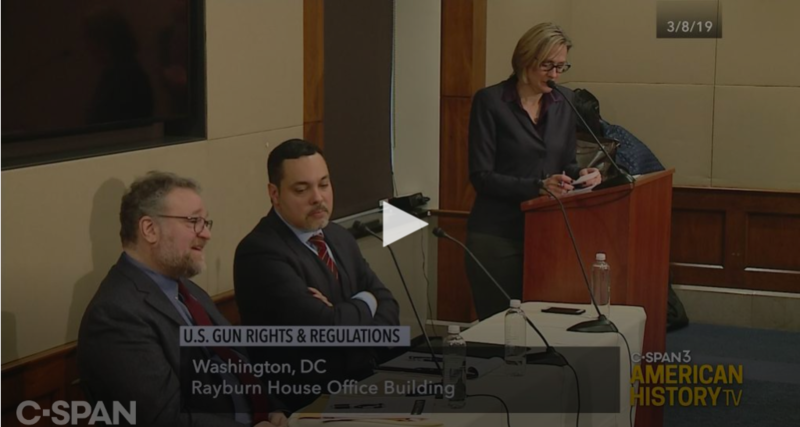 At our most recent Congressional Briefing in March, Saul Cornell (Fordham) and Darrell A. H. Miller (Duke) discussed the history of gun legislation and jurisprudence in a panel moderated by Karin Wulf (William & Mary). Past efforts at regulation since the revolutionary period speak to present and future efforts to legislate and rule legally on interpretations of the Second Amendment. A video recording of the briefing can be found here, in C-SPAN’s video library. A briefing summary, with bios of the panelists, is available here.